Till yet hackers and security researchers have demonstrated many things that can be hacked, but this could be scary that now they have hacked Self-targeting Sniper Rifles. At the upcoming hackers conference "Black Hat", a couple Runa Sandvik and her husband Michael Auger is going to demonstrate there a years old researcher of exploiting Self-targeting weapons. TrackingPoint sniper rifles which run on Linux and Android and have WiFi connections can be hacked and change the target of the arms - researcher claims. The pair have discovered how to brick the rifle, making its computer-targeting unusable, as well as getting root access to the targeting system to make permanent changes to the firearm. Security researchers had demonstrated their exploit, causing bullets to miss the shooter’s intended target and hit an entirely different one - Wired reports. 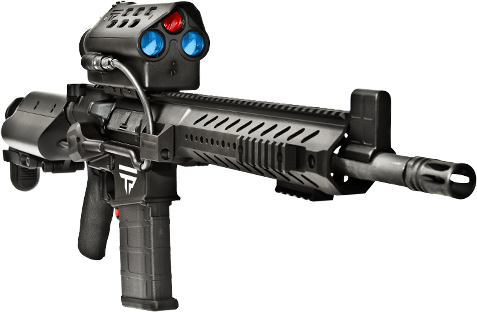 Researchers have also mentioned that they have reported the vulnerabilities to TrackingPoint, but the troubled firm’s management has not responded. Sandvik and Auger say they won’t release the full code for their exploit as there is not fix available for the vulnerabilities. And with only a thousand vulnerable rifles in consumers’ hands and the hack’s limited range, it may be unlikely that anyone will actually be victimized by the attack.